Michele Sponagle learns a healthy lifestyle can slow down the signs of aging. Hard-partying starlets and supermodels hardly appear to age. Professional photo retouching on movie posters and magazine shoots, along with blurry paparazzi shots, often fail to reveal the fine lines and wrinkles that the sun and cigarettes are known to etch. Rest assured that everyone’s skin ages, but the good news is that we all have some control over how quickly it does. The key is not just the latest high-priced anti-aging elixir or celebrity dermatologist – these are just small steps of the total picture. It’s about how you live your life. Begin breaking bad habits and start adopting good ones for a complexion that can look categorically gorgeous. Bad habits haven’t caught up with you yet, so count your blessings and practice preventive skin care to coax brighter, healthier skin in your future. Sun protection. It’s the most effective anti-aging strategy. This means wearing sunscreen with SPF 30 or higher, plus hats and protective clothing, according to dermatologist Dr. Lisa Kellett of Toronto’s DLK on Avenue. Microdermabrasion. To de-clog pores and remove dead, dulling skin, Dr. Kellett uses a very gentle technique incorporating a diamond-encrusted tool to add sparkle to the complexion. Done once a month, you’ll maintain a healthy glow. Intense pulsed light treatment. This 20-minute doctor’s procedure fades freckles and sunspots, as well as reduces pore size. Fillers. Too many nights of partying can worsen dark circles under the eyes. 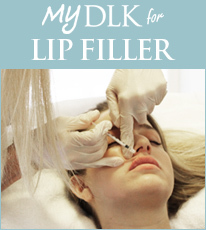 Dr. Kellett uses fillers such as Revanesse to erase them. You may see not only your first grey hair but fine lines around the eyes, forehead or mouth, too. These dynamic wrinkles (ones caused by repeated movement of facial muscles) become more visible. Treatments, combined with healthy habits, can hold back the years. Antiwrinkle cream and sunscreen. It’s not too late to go on the defence, though dermatologist Dr, Paul Cohen of the Rosedale Dermatology Centre in Toronto cautions that products shouldn’t be too rich or breakouts could occur. Botox Injections. By relaxing the muscles at the site of a wrinkle, fine lines can be eradicated temporarily. Chemical peels. The signs of sun damage (freckling, sunspots and uneven complexion) become less visible after applying an acid-based solution. From eyes to lips, this is the time to rewind your skin back a few years and recapture a youthful look. If your skin reacts to retinol and glycolic acid, try a formula with peptides to help reduce wrinkles. Botox. In the old days, a brow lift was a surgical procedure. Dr. Chaim Goldberg of the Goldberg Centre for Vision Correction and Cosmetic Surgery in Toronto points out that, now, it can be done with Botox injections to reduce lines around the eyes and forehead. Fillers. Injections of temporary and permanent fillers (such as Artecoll) can treat fine wrinkles and deeper furrows, such as frown lines. A combination of fillers and Botox yields good results. Cosmetic plastic surgeon Dr. Stephen Mulholland of SpaMedica in Toronto has developed a 30-minute non-surgical face-lift using fillers. He sculpts the face by injecting the filler, between the muscle and the bone, to restore volume lost with age. Deeper peels and laser resurfacing. These procedures help erase sun damage and smooth out fine lines and wrinkles.